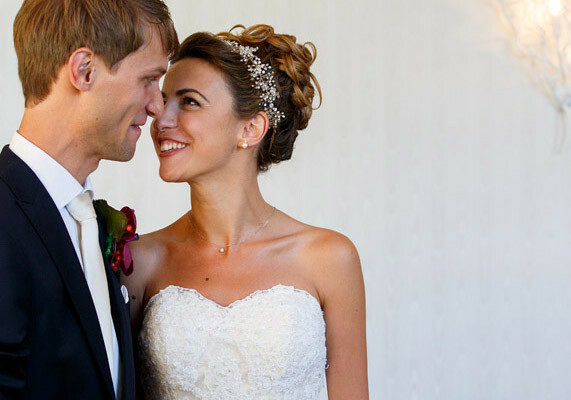 My name is Evsen, and I am one of the lucky brides who received an enormous help from Lonneke. Since the first moment I got into contact with Lonneke, I have always had a great experience with a high standard of professionalism as well as pure enjoyment. To demonstrate my experience with her professionalism; I had thought that I had a pretty good idea about what I wanted for my bridal hair style before our proof session. However, once I start talking to her, with the help of her relevant and solid questions which comes from an extensive experience, I realized that there is a discrepancy between what I really wanted and how I defined it. She really took her time to pose questions, and she thoroughly listened to me. Finally we came up with my dream, Hellenistic hair style. Moreover, she is not only a talented hair stylist but also a caring and easy-going person; I have always had pleasure to talk to her. In my opinion, for a bride the second quality is as important as the first one, because for a bride it is very crucial to be with somebody with a relaxing aura on your big day.